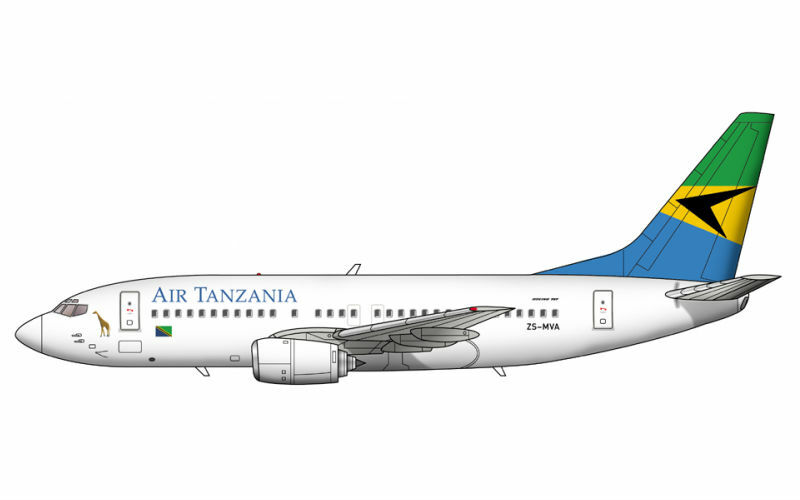 Tanzania’s President John Magufuli has recently expressed its desire to revamp the national airline, Air Tanzania Corporation Limited (ATCL), through the acquisition of new aircrafts to compete with other commercial lines currently flying in the country. ATCL is currently operating with only one leased plane and maintenance costs are at around USD 1.3 million per year; reason why the government is in talks with TIB for a loan of USD 20 million to acquire two new aircrafts, explained the Director of Policy and Planning in the Ministry of Works, Transport and Communication, Mr. Gabriel Migire. Meanwhile, Africa’s low cost airline fastjet Plc (AIM:FJET), recently announced that its first owned aircraft, an Airbus A319 has been delivered, extending this way its fleet to a total of five aircrafts. The aircraft’s delivery comes at a moment when fastjet is experiencing a rapid growth on its passengers’ traffic, also thanks to the steady growth in Tanzania’s international and domestic traffic of recent years. According to Tanzania Civil Aviation Authority (TCAA), the growth in international passengers’ traffic has recorded an average of 7.27% per annum in the recent years while domestic passengers have been growing at a rate of 17.93% per annum during the same period.